In today’s highly competitive business environment, corporations are seeking skilled and experienced executives to provide effective management and leadership to move their business or organization forward. 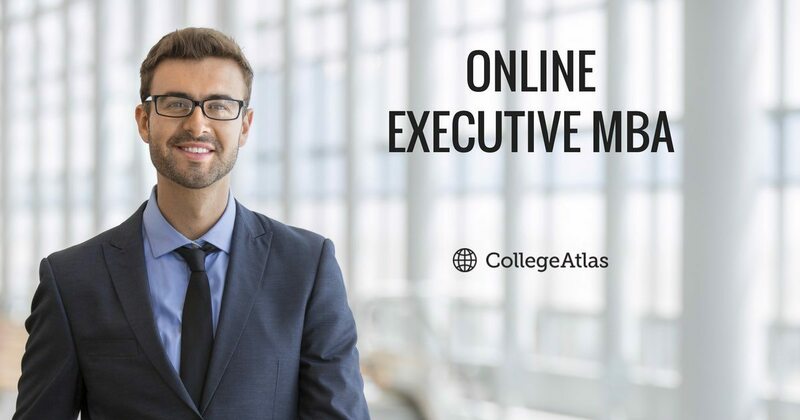 Whether you’re looking to advance a career path in executive management or gain a competitive edge to launch an entrepreneurial venture, an online Executive MBA (EMBA) program gives you the opportunity to earn a master’s degree in business administration while working full-time. Completing an EMBA degree in an online program gives students the further flexibility to complete coursework while juggling other personal and professional responsibilities. Get Matched With Online Executive MBA Programs, Business Schools, and More. You May Qualify for Grants and Scholarships! Compared to a traditional MBA program, which may require a full-time commitment to daytime classes on a college or university campus, students in an online executive MBA program participate in lectures, group projects, and complete assignments during nights and weekends. An online EMBA often contains the same core curriculum—and involves the same academic rigor and student engagement—as a traditional MBA program. Online EMBA students also frequently take courses in a specialized area of interest or a concentration in an area relevant to their career paths, such as human resources, international business, healthcare administration, marketing, or finance. An EMBA program curriculum focuses on applied learning, leadership, personal skill development, and a global business mindset. Many EMBA students also begin the program with significant background experience in their profession and in management. According to a 2016 survey by the Executive MBA Council (EMBAC), a leading professional organization in the field, the average EMBA student is 37.8 years old, enrolls in graduate school with 13.9 years of work experience, and has nine years of management experience. The demand for qualified professionals who are well prepared for leadership and management roles is ever-increasing. An online Executive MBA degree can be an important investment in leadership development and in gaining relevant professional skills. Business executives can improve their career outlook by adding a graduate education in business administration to their professional resume. An investment in an Executive MBA can be provide immediate value to business professionals. Many Executive MBA students work on completing their degree while employed full-time and have immediate opportunities to immediately apply lessons learned in the classroom to their professional work. Upon graduation, executives have developed qualifications that further improve their opportunities to advance in management and frequently result in increased earnings. The Executive MBA Council survey reported that 11.6 percent of EMBA graduates received a salary increase and 40 percent were promoted after graduation. Online EMBA students are often drawn to an attractive learning environment and an accelerated timeline. Compared to a traditional MBA education, an Executive MBA is often completed in less time than the two years required by full-time programs. According to the Executive MBA Council, the median EMBA program length is 20 months. Students work their way through their online EMBA degree program with a cohort, or peer group, throughout the entire program, including case studies and team-based projects. These peers, though connected virtually, often become a lifelong network that can provide additional value both personally and professionally, beyond graduation. The EMBA curriculum is integrated across business functions and may include courses in strategic management, leadership and productivity, organizational behavior, and international or global strategy. The curriculum of most EMBA programs has a unique focus on experiential, applied learning and leaves the student with an increased strategic vision for the growth of the business or organization. The majority of Executive MBA students report self-financing their graduate education, though many executives may find partial or full reimbursement or sponsorship from their employer. Scholarships or fellowships may be available from the university or other professional organizations. Federal or private student loans can provide graduate students with financing, as needed. Prospective students can begin the process of researching and evaluating online EMBA programs and by attending information sessions regularly hosted by universities and colleges either in person or via online webinars. The application process will vary from school to school; however, the admissions committee for online EMBA programs may consider the professional background, testing requirements (GMAT or GRE graduate entrance exam scores), potential contributions to the classroom, and other professional and personal factors in making their admission decision. Applicants can expect to wait six to eight weeks or longer to be notified of admission to an EMBA program. Applicants should check with the school when applying for when they may expect to hear back. Online learning has become a popular and attractive alternative to an on-campus education for many Executive MBA students. By having your classes online, you can be flexible in when and where you want to study. Not all colleges and universities deliver their Executive MBA in an online format. Note: Some online programs will require periodic attendance to on-campus seminars, conferences, or events. Other business schools offer hybrid options to attend classes on campus part-time and complete the remainder of coursework online.